Part of me hesitates to try and make predictions for the new year as like with most economic forecasts being made at the moment it is almost bound to be fairly depressing. It is in fact because the economic outlook is so poor that the predictions below are on the gloomy side. I do hope that the 15 does not get cut back any more as I think the 20 minute service is about right...although I do wonder if the Saturday afternoon cuts are a precursor for something more later. If they pull out of Cornwall and cut rural Devon routes it does not leave a lot left..so where next for FDC ???? With government cuts...If I were Citybus, I would look to cut 40/41 route to just one way around Southway. I.E Get rid of the 40 and just run the 41 every 20 mins, same with Whitleigh, axe 44a just keep 44 every 20 mins...both hourly in evenings. I do not think they would loose many customers as there is no alternative operator and they would save a lot on outlay/running costs. I think they are possibly over bussing at the mo in these areas...also I think their days in Saltash are numbered!!! 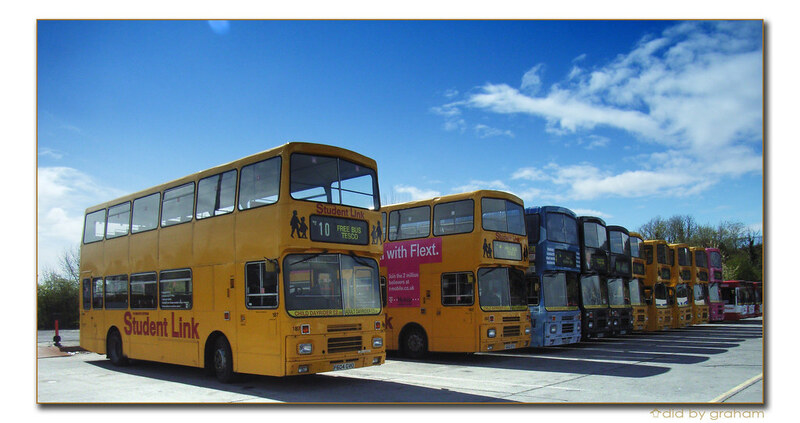 Do you think Citybus will retain their 5/5A Plymstock routes? First are cheaper, especially with their First month Plymstock ticket at £32? Good point on the 40/41 44/44A, it does seem a little pointless and with the 42 aswell - ditch the least popular service from each area. I don't think that Saltash's days are numbered - more people use it than many think. First price increases this month, I wouldn't be suprised to see more people using it. Service 26 – May be increased to every 7/8 mins funded by cuts to other services? Service 27 – The Torpoint Ferry part of the service will probably be cut as the 34 already operates to the ferry. Service 40 and 41 – withdraw one of these routes, and both of them in the evening. Service 42 – I would be surprised if this route was changed at all as so many people (including me) use it to get to Derriford from the City Centre; 20 minutes! Service 43A – I don’t think this service has long left; especially at the frequency it currently runs at! It will almost certainly be cut back to an hourly service. 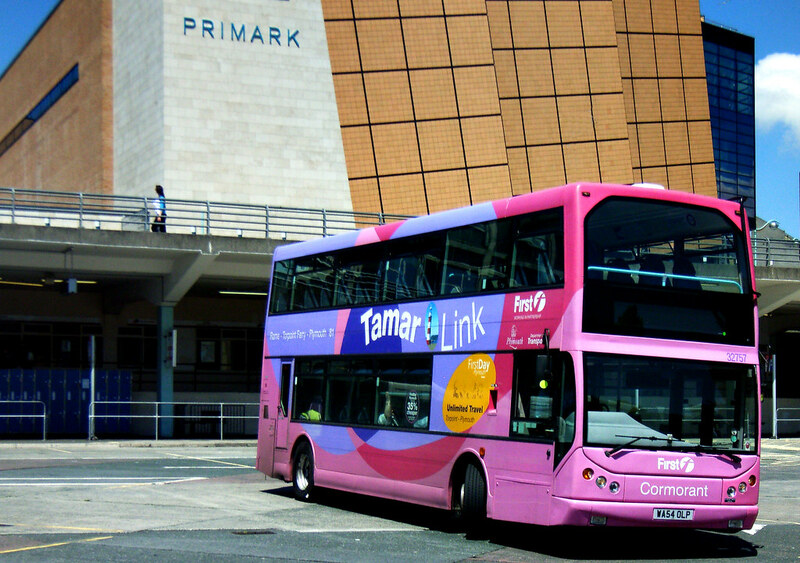 Service 50 – I would be surprised if this route was cut, it’s a very popular one! One thing that may be cut is the part that runs into the Marsh Mills retail park, e.g. DFS, PCWorld, Homebase ect, it may just run along the A38 up to Leigham and operate into this retail park at peak times, possibly a service 50A? Western Greyhound fares are increasing. That makes Citybus the cheapest in Saltash but about 20/30p. Citybus is 2.90, I believe the new First fare is awl whopping 3.15. Jacketts service through Saltash is bing withdrawn this month anyhow. Personally I also expect Citybus to pull it's 43a from Saltash as well as despite the price First is well in control of this route!!! Tom: I am not sure Citybus would go this far with cuts but you never know...I would certainly cut one of the 40/41 and 44/44a. I would withdraw evening 40/41 and replace with 42 hourly and perhaps withdraw the 44 in the evenings and replace with 16B route...basically has they do on Sundays!! On another note...I notice both First and western Greyhound have blamed grants for recent price increases,. Citybus never mentioned this last year in their prce increases do we expect another rise from Citybus when this happens around April ??? Those potential cuts I posted were meant to be the 'maximum' if you know what I mean - I should've made it clearer. I think most likely they would (and should) cut a 40/41, a 44/44A and a 23/24. I agree with what the person above has posted; withdraw 40+41 evenings, replace with hourly 42, withdraw 44/a and 43B evenings and replace with 16B. Rumour has it - and I stress rumour that an announcement might be made shortly about the long standing scheme to reopen the railway line from Bere Alston to Tavistock thereby restoring the link to Plymouth. As an out of town contractor who works in Plymouth on a regular basis and who enjoys the comfortable and cheap off peak bed and breakfast accomodation available near Tavistock such a move could not come fast enough. The road from Tavy is a fiasco in the morning and if there is one thing my clients expect it is for me to turn up on time.Would any Plymouthians like to poke their local contacts to see if there is any substance in the rumour? - If there was it would make a great 2012.